Brussels Sprouts are part of the cabbage family one of the healthiest family of vegetables. Here is a Brussels Sprout recipe everyone will like. Make sure to cook them just until tender. Wash sprouts, cut off the end, and cut an "X" on the bottom. Place steamer basket in bottom of medium saucepan. Pour just enough water in pan to reach the bottom of the basket. Put sprouts in pan, cover, and steam for 12-15 minutes. Sprouts should be tender, but not soft. Combine butter, lemon juice, Parmesan cheese, and breadcrumbs in a small bowl. 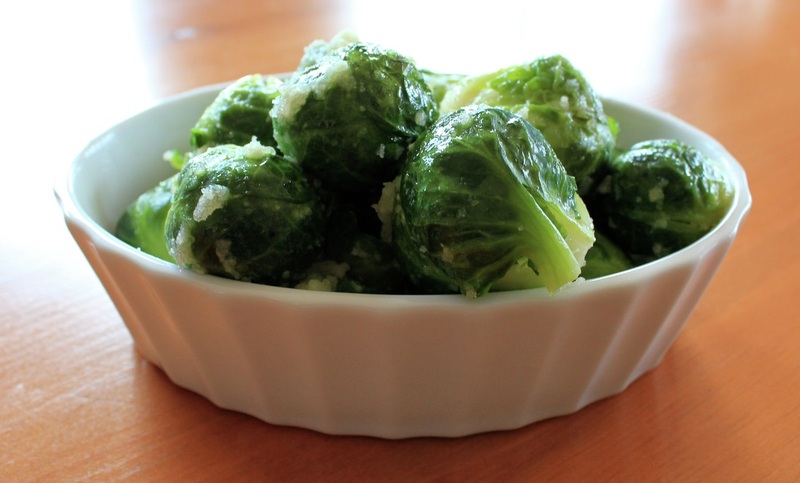 Place Brussels sprouts in a small baking and dish, sprinkle breadcrumb mixture over top. Heat under a broiler for 2-3 minutes. Crumb topping should be golden brown.